Making your Synovus Bank credit card payment or looking to login to view your statement or manage your account online? This guide will help you opt for the credit card best suited for you, as well as familiarize you with the available benefits, payment options, rates, and more. To make a payment online or manage your account, follow the link provided below on this page to the Synovus Bank credit card login. You will also find useful “pay my bill” information such as the credit card customer service number, payment mailing address, and billing phone number below. Synovus Bank credit cards are issued by the bank itself. Cardholders can manage details of their accounts using the online payment service provided by Synovus Bank. For any assistance with online access you can contact customer services at 888-317-0085. Pay Online: The online payment service enables cardholders to make payments easily and securely without any problems. Users can check their account details, update personal information, view e-statements and more. Users also have 24/7 access to their account. To make your Synovus Bank credit card payment online click the “Pay Online” button below to login, register, view your statement or manage your account online. Pay by Phone: To make a payment by phone simply refer to you monthly statement for this information or contact customer service at: 1-800-543-8227. Pay by Mail: The Synovus Bank credit card mailing address is: Card Services, P.O. Box 2181, Columbus, GA 31902-2181. Please include your Synovus Bank account number on your check. Your account number is located on your statement. To ensure your Synovus Bank payment is received on time it is recommended that you mail your payment at least 5 business days prior to the due date shown on your monthly billing statement. Pay in Store: Yes. 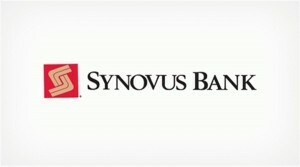 You can pay your Synovus Bank credit card in a local branch. Synovus Bank Credit Card Customer Service: The Synovus Bank credit card customer service number is 1-800-543-8227. 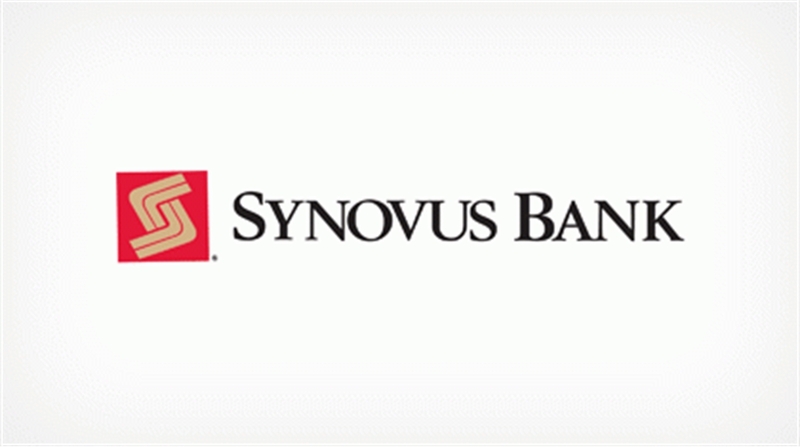 Headquartered in St. Petersburg, Florida, Synovus Bank is one of the largest community banks in Southeast U.S. It operates under 28 different trade names and is a division of Synovus Bank itself. Synovus Bank offers the Purchase Perks VISA Platinum and VISA Platinum credit cards. The Purchase Perks VISA Platinum credit card has an introductory APR of 0% for the first 6 months for purchases and balance transfers. After that the APR will be between 7.24%, 9.24%, 12.24%,15.24% or 18.24% for both purchases and balance transfers, depending on your creditworthiness. The APR for cash advances is 20.24%. No annual membership fee is applicable for the first year, after that it is $50 Purchase Perks Premier or $12 for Purchase Perks Basic. No minimum interest charge is applicable. Late payment and returned payment fee are up to $35 and $25, respectively. The VISA Platinum credit card has an introductory APR of 0% for the first 6 months for purchases and balance transfers. After that the APR will be between 7.24%, 9.24%, 12.24%, 15.24% or 18.24% for both purchases and balance transfers, depending on your creditworthiness. The APR for cash advances is 20.24%. No annual membership fee is applicable unlike some other credit cards. No minimum interest charge is applicable. Late payment and returned payment fee are up to $35 and $25, respectively. If you are looking for credit cards with attractive APR and interest rates, the Synovus Bank credit cards should meet your requirements. Visit Synovus Bank on Linkedin. The Synovus Bank credit card payment login, address and customer service availability make the billing process simple and easy to follow. Making your First PREMIER Bank credit card payment or need to login to view your statement or manage your account online? Just below you’ll find information on your payment options with this credit card provider. Impartial information on First PREMIER Bank and the credit cards they have to offer is also provided to help new customers learn more before they apply. To make a payment online or manage your account, follow the link provided below on this page to the First PREMIER Bank credit card login. You will also find useful “pay my bill” information such as the credit card customer service number, payment mailing address, and billing phone number below. With lots of different payment options available for First PREMIER Bank credit cards, it is simply a matter of choosing the one that suits you best. A simple way to make payments and manage your credit card is available at MyPremierCreditCard. With the ABA and checking information from a valid account you can make transfers using this online service. First PREMIER Bank’s ABA number is 091408598. Pay Online: First Premier Bank offers a very simple helpful credit card payment option overview at MyPremierCreditCard, which includes information for cash payments by MoneyGram and Western Union and for PREMIER Pay. Call the number given above for more help and information. To make your First PREMIER Bank credit card payment online click the “Pay Online” button below to login, register, view your statement or manage your account online. Pay by Phone: The First PREMIER Bank credit card payment phone number is 1-800-987-5521. The automated service is free; however, expedited payments with customer service assistance cost $11. Pay by Mail: The First PREMIER Bank credit card payment mailing address is: First PREMIER Bank, PO Box 5529, Sioux Falls SD, 57117-5529. You should allow 5-7 days for delivery. Delivery times of 1-3 days are available if you instead use an express courier such as UPS: First PREMIER Bank, 3820 N. Louise Ave, Sioux Falls, SD 57107. Please include your First PREMIER Bank account number on your check. Your account number is located on your statement. To ensure your First PREMIER Bank payment is received on time it is recommended that you mail your payment at least 5 business days prior to the due date shown on your monthly billing statement. Pay in Store: No. 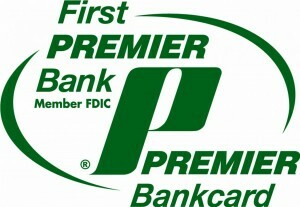 At this time you cannot pay your First PREMIER Bank credit card in stores. 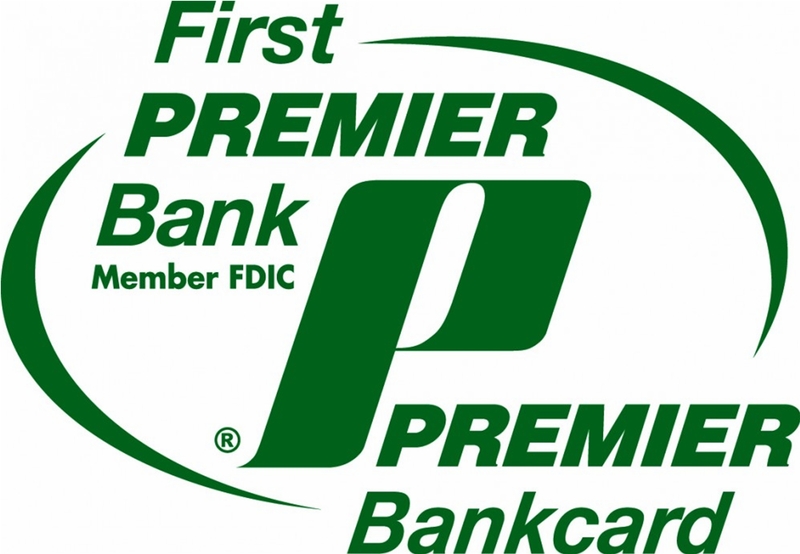 First PREMIER Bank Credit Card Customer Service: The First PREMIER Bank credit card customer service number is 1-800-987-5521. Based in Sioux Falls, South Dakota, PREMIER Bank is a local bank with a local attitude towards its customers, while offering products and services at the nationwide level. PREMIER Bankcard is the sister company of this bank, and it is this arm which offers credit services. This bank is one of the strongest in the country and operates with no debt, and their growth is funded via equity and deposits. If you have no credit and want to build credit history, or if you are suffering from bad credit and want to start repairing it, the First PREMIER Bank Credit Card is a good option to consider. Unlike many other banks and credit card providers, this bank only offers cards for the purpose of rebuilding credit. When you are dealing with bad credit but want a non-secured credit card to get you back on the straight and narrow, you are going to have to accept low credit limits, high interest rates and service fees. The rates for First PREMIER’s current MasterCard credit-builder card in particular are very high, and this goes alongside a number of fairly costly fees. However, in return for these costs you do get excellent acceptance, and best of all you get automatic reports to the major credit bureaus. If you keep in good standing, within a few years your credit profile will be in a much better position with this card.